Our Maryland state flags conform to all official specifications. Emblems and designs are executed with the highest possible degree of accuracy in regard to detail, color shades, placement and proportion to flag size. 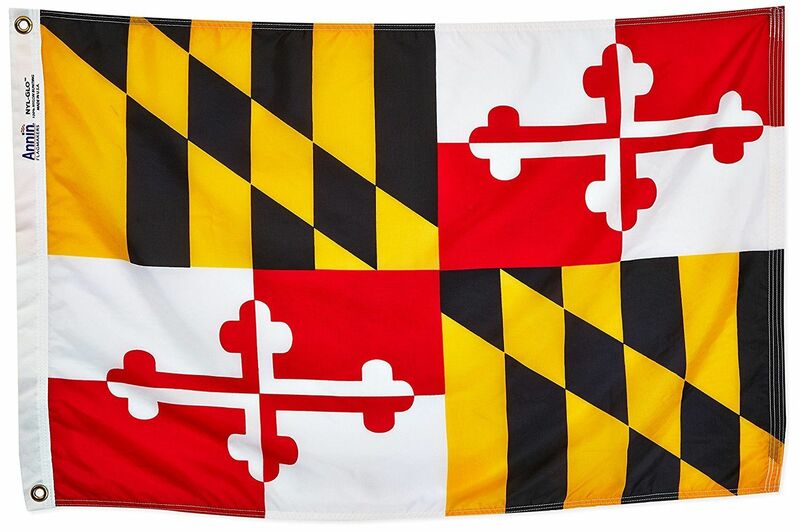 Ideal for indoor or outdoor display, our Maryland state flags are made of Nyl-Glo 100% heavyweight nylon, a 200-denier bunting specially treated to minimize sun and chemical deterioration. America's first choice for flags, they are extremely durable, fast-drying, and boast brilliant, fast colors. These flags are also finished with strong canvas headings and large brass grommets. All are made in America and suitable for residential or commercial display.